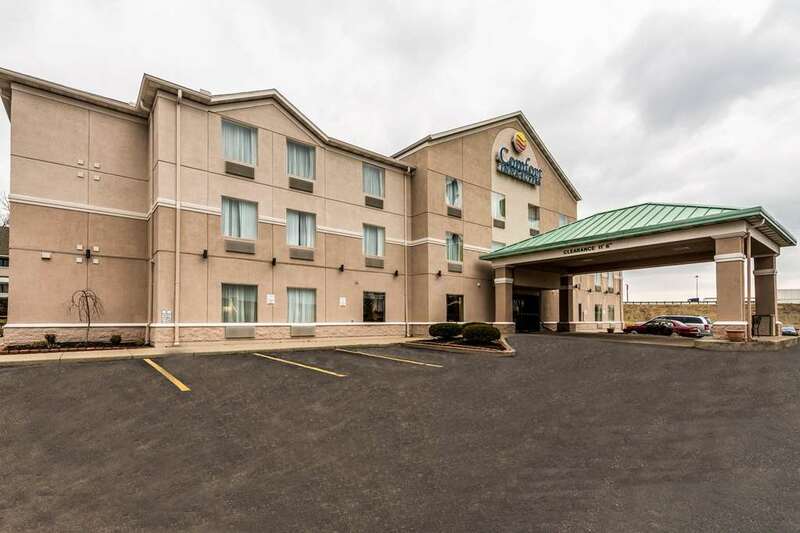 Behind every great day is a great night at the pet-friendly Comfort Inn and Suites hotel in Dayton, OH. We are conveniently located right near the Dayton International Airport, Wright-Patterson Air Force Base, University of Dayton, Dayton Art Institute, Dayton Aviation Heritage National Historical Park and the Hara Arena. Take advantage of our free hot breakfast, free WiFi and indoor heated pool. Guest rooms feature microwaves, coffee makers, TVs, desks, irons and ironing boards. We also offer membership to the Choice Privileges Program, which gives members the opportunity to earn valuable rewards points toward airline miles, gift cards and free hotel room nights.